This year, funding for the US Army's next generation of combat vehicle - dubbed the Ground Combat Vehicle (GCV) - was slashed and the programme all but cancelled. Plans were for the GCV to replace an ageing fleet of Bradley vehicles. Instead, it joins a growing list of failed army acquisition programmes. Now other armoured vehicle projects are coming under closer scrutiny as experts question whether these failed projects are affecting US capabilities at home and abroad. The US Army’s Bradley Fighting Vehicle was first envisaged in the 1970s, fielded in the 1980s and fought in both the first Gulf War and the 2003 Iraq War. It’s proved its combat worth as an Infantry Fighting Vehicle, ferrying soldiers across the battlefield while also being lethal enough to take on the enemy, including battle tanks. According to army folklore, the Bradley killed more Iraqi tanks during the Gulf War than the US’s main battle tank, the M1A1 Abrams. Despite its combat effectiveness, there is no disguising the fact that the Bradley is a Cold War relic introduced over 30 years ago when the Soviet Union was still the biggest threat. 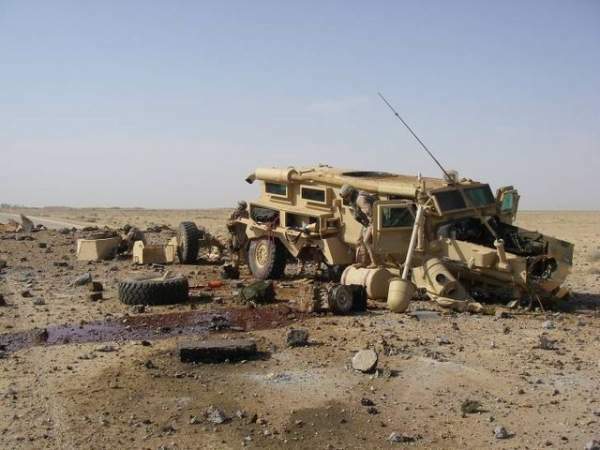 Recent conflicts in Iraq and Afghanistan have shown how vulnerable legacy vehicles, such as the Bradley and Humvee, are to improvised explosive devices, mines and RPGs. Some analysts suggest that around 150 Bradley vehicles were destroyed throughout the second Iraq war. But efforts to design, test and build new combat vehicles for the US Army have been historically tortuous processes which often result in delays, cost overruns and cancellations. 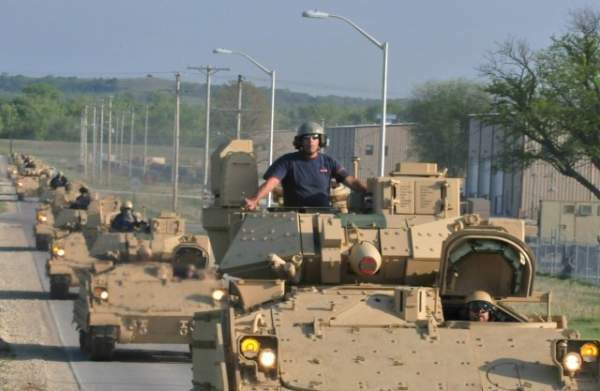 The Pentagon is incapable of defining a reasonable, achievable armored vehicle program and seeing it through to production, wrote Daniel Goure, a defence expert at the Lexington Institute. "The history of Army acquisition over the last twenty plus years is littered with failed attempts to define, develop and build new armored fighting vehicles and tanks," he said. The search for a Bradley replacement has suffered the same setbacks. Even before the 2003 invasion of Iraq, the Pentagon was looking at ways it could replace its ageing infantry vehicles. In 2000, defence officials announced the Future Combat System (FCS) programme which called for the fielding of an entire suite of systems including a new ground vehicle. The FCS concept was expected to revolutionise the way the Army would be equipped, with units outfitted with advanced technologies integrated to a central network. Engineers are taking advantage of Formula 1 design tools, including Oculus Rift-style virtual reality. It was the biggest-ever acquisition programme attempted by the US Army, but it was majorly flawed and the whole thing was cancelled in 2009. The cancellation "eroded confidence" in the US Army’s acquisition capabilities both inside and outside the army, said a 2012 research paper by the RAND Corporation think-tank. The Army picked up the pieces of FCS and began again with the GCV programme. GCV was a far less ambitious effort to develop a new combat vehicle, with less emphasis on the ‘systems of systems’ approach that guided the FCS programme. The GCV project instead called for a vehicle which was relevant across the spectrum of operations but also incorporated lessons from Iraq and Afghanistan, namely the threat from IEDs and mines. It would also carry three crew and a full infantry squad of nine soldiers compared to the six soldiers carried by the Bradley. Carrying nine soldiers is seen by the US Army as vital for effective dismounted operations but has been lacking on legacy vehicles. 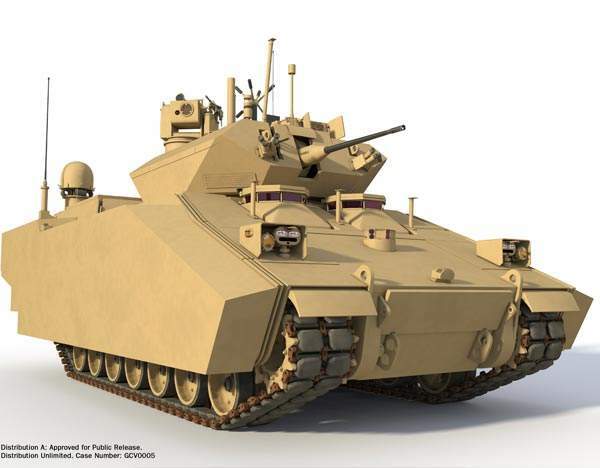 In February 2010, the Army issued a Request for Proposal (RFP) for the technology development phase of the GCV. The RFP set out a list of requirements for the GCV which included greater lethality and ballistics protection than the Bradley, better IED protection than an MRAP and the cross-country mobility of an Abrams tank. It sounded like the perfect vehicle for the Army but it was also wishful thinking and deemed too expensive by a Pentagon review team. A new RFP had to be reissued in November 2010 to address these concerns but industry figures were still unhappy with the requirements set out by the Pentagon. "Many of the technical specifications the contractors expected the Army to spell out were left open-ended and industry would have to propose many of the vehicle’s technologies and features," said Andrew Feikert, a specialist in military ground forces with the Congressional Research Service. "Another concern was industry was not clear on how many vehicles the Army intended to build and questioned whether the Army could afford the production in the long run." "The FCS concept was the biggest-ever acquisition programme attempted by the US Army, but it was majorly flawed." By August 2011, two teams had been selected for the GCV’s technology development (TD) phase – one led by General Dynamics and the other by a joint BAE Systems-Northrop Grumman team. Cost estimates concluded that a single GCV would have a price tag of between $9m and $10.5m with an operational sustainment cost of $200 per operational mile. More worryingly, some estimates suggested GCV could weigh a massive 84 tons, nearly 30 tons heavier than an M1 Abrams main battle tank. The TD phase was meant to last two years but had to be extended by six months in 2013 after major programme changes were enacted to address several concerns like the GCV’s gargantuan weight. By this point, the US military was feeling the effects of automatic spending cuts known as sequestration and a nosediving budget post-Afghanistan and Iraq. In April 2013, the Congressional Budget Office (CBO) released a critical report saying the Army could meet their GCV requirements without building an entirely new vehicle. An upgraded Bradley, German Puma IFV and Israeli Namer vehicle were all put forward as possible alternatives. One of the more radical proposals the CBO put forward was cancelling the GCV altogether. Instead, the US Army would invest $4.6bn to upgrade existing Bradley IFVs and extend their operational lives for another twenty years. Around $100m would be invested annually for R&D efforts to improve future armoured vehicle technology. The CBO predicted that over the long term it would save the Army nearly $24bn compared with buying the GCV. 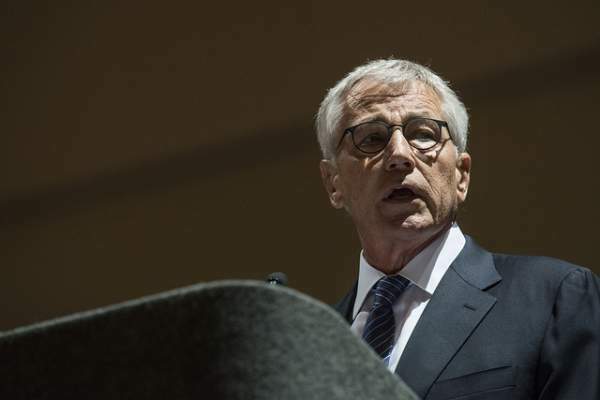 Just under a year later, Secretary of Defense Chuck Hagel announced the GCV’s termination and the allocation of $100m for research into a next-generation armoured vehicle. 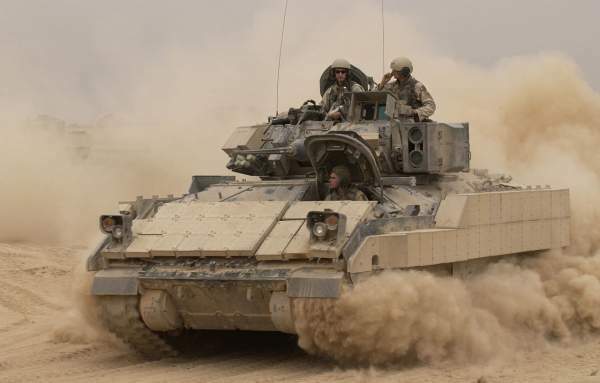 The GCV’s cancellation is the second time in five years that the Army has been forced to cancel a programme which intended to replace the Bradley IFV. If the FCS programme eroded confidence in the US Army’s ability to procure complex systems, then the GCV debacle has destroyed any credibility that remained. It’s still unclear how the Army intends to pick up the pieces of another shattered project and retain the vital skills needed for armoured vehicle development. Worth noting, the US Army will continue to lack an infantry fighting vehicle which can carry a full infantry squad, something which the service has desperately wanted for decades. With the retention of the six-seater Bradley, infantry squads will be split up among vehicles which ultimately degrades the capability of dismounted troops. British troops are set to receive over 500 next-generation armoured vehicles as part of a £3.5 billion contract. Funding allocated for the GCV will likely be redirected to the US Army’s other armoured vehicle programmes including the Armored Multi-Purpose Vehicle (AMPV) and Joint Light Tactical Vehicle (JLTV). But there are concerns that the ever-dwindling amount of new armoured vehicles going into production will have significant knock-on effects for the US’s defence industrial base. Until the AMPV and JLTV finally enter production, only the M1A1 Abrams, Stryker and Paladin self-propelled Howitzer remain in production. The AMPV programme is now the main armoured vehicle modernisation effort for the US Army and a lucrative prize for industry. The programme aims to replace the Army’s 2,900 M113 armoured personnel carriers – which first saw service during the Vietnam War – and is expected to be worth around $5bn for the winning company. But even the AMPV programme is not without its problems and has the potential – just like the GCV – to spiral into a procurement disaster. BAE Systems is once again in the offing for the AMPV, proposing a turretless Bradley design, and was expected to be competing against its old rival General Dynamics Land Systems (GDLS). But in May this year GDLS pulled out of the AMPV programme amid complaints that the AMPV solicitation was unfairly skewed in favour of the BAE Systems design. GD’s withdrawal has left just one company to compete for the AMPV programme which has raised a whole host of questions on Capitol Hill. An approach being advocated by some lawmakers is a ‘mixed-fleet’ approach which will integrate a tracked Bradley design and another vehicle like the wheeled Stryker, a vehicle which has proved its combat readiness in Iraq and Afghanistan. "The logical approach is a mixed fleet of tracked and wheeled vehicles, complementing each other in operational formations," Republican Senator Rob Portman said recently. "The Stryker is the most common combat vehicle in the active-duty Army and affords far better IED protection in its double-V hull design innovation than does the Bradley, exceeding the force protection requirement established by the Army for AMPV." Portman’s approach is biased – his state Ohio is home to the US Army Joint Systems Manufacturing Center, which builds Stryker combat vehicles. Nevertheless, it’s a sign that the AMPV remains a contentious programme and is coming under similar scrutiny to what was seen with the GCV programme. Question marks remain over the future of the US Army’s armoured vehicles and what will replace ageing and vulnerable vehicles like the Bradley, M113 and Humvee. It’s an issue which could affect not only US capabilities on the battlefield but the country’s defence industrial base back home. Proponents of the AMPV and JLTV will hope these programmes do not suffer the same fate as the GCV, but history suggests you can’t take anything for granted.